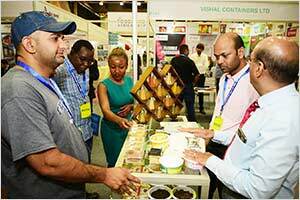 Foodagro Ethiopia 2019 will be held from 21st – 23rd March 2019 in the Ethiopian capital city of Addis Ababa . The event will target the Ethiopian Food Processing and Agricultural industry and taps into the huge investment potential of this growing sector. The focus will be fortified foods, packaged foods, agricultural machinery, processing and commodities. Ethiopia’s population, currently a little over 100 million presents a wide variety of opportunities. Agriculture is the mainstay of the Ethiopian economy, contributing 41.4% of the country’s gross domestic product (GDP), registering a growth rate of more than 10% each year. The country’s continued public investments in agriculture and infrastructure is remarkable as well as its new industrial policy which is geared towards diversification and transformation of the economy. Ethiopia is positioned as one of the largest markets and being a member of COMESA, the proximity to the Middle East and the European EBA Initiative, provides preferential access to the markets in Africa, Middle East and the EU. The food-agro sector is currently geared towards the domestic market and is in need of new food processing and agro based technology to help expand the production and meet the rising demand. Recent policy changes in import and trade by the Ethiopian government has helped boost the economic activities that depend on agriculture. These include processing, marketing and export of agricultural products among others. Thus, investment potential exists in large-scale commercial production as well as modern farming technology and tools, irrigation systems, processing, distribution and modern packing and blending industries.